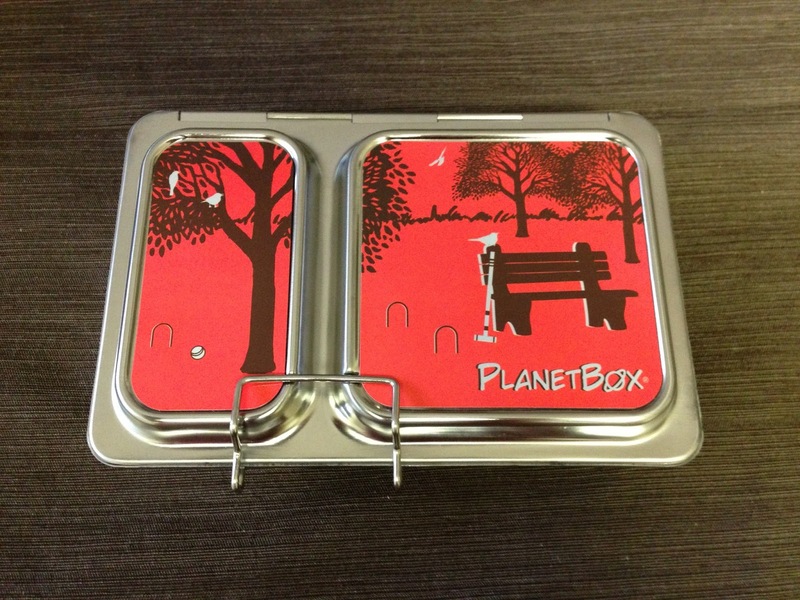 The PlanetBox Shuttle is the newest product in the PlanetBox line. 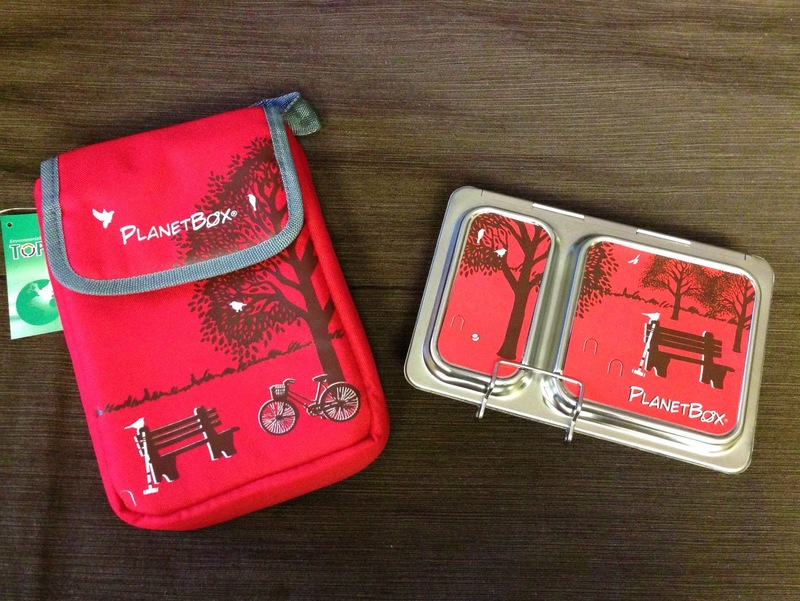 Planetbox desires to make all-in-one lunch containers that are durable, non-toxic, and dishwasher safe. It sells for $39.95 on Planetbox.com. 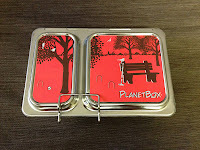 To read more about the company and their mission scroll down to check out my review of their PlanetBox Rover. The Shuttle is the smallest box in their line and I was skeptical at first. 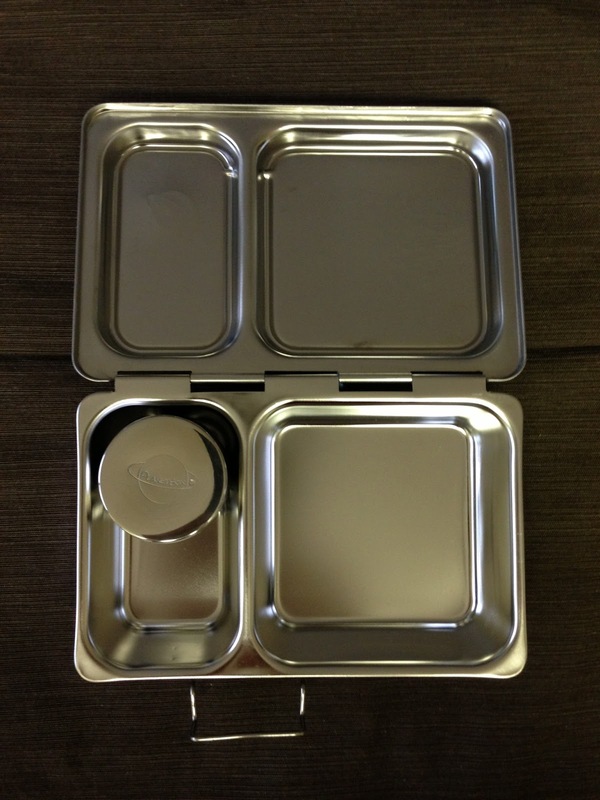 It measures 7.75”x5.2”x2” and is made completely out of stainless steel with one hinge. There are only two compartments, but a leak proof dipper container is included, as well as a magnet set to decorate the top. Click here to see the 4th of July Simple Summer meal I made in the PlanetBox Shuttle! When I first inspected the box, I could see it was as durable as the larger Rover, and would probably clean up as easily in the dishwasher (after testing it does). 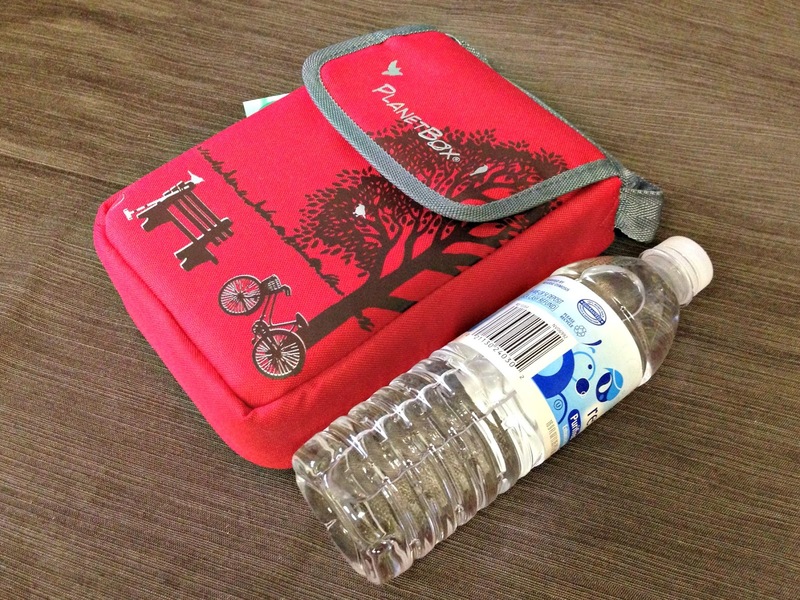 The lunch box and dippers are dishwasher safe, but the case must be spot cleaned. I just couldn’t figure out how I would pack more than a large snack in there! I set to work and found out that the Shuttle is actually a beautifully simple alternative to larger, more complicated lunch boxes. I found it very easy to pack a smaller meal in this box. 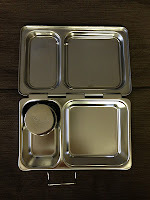 The larger compartment can fit something as big as a sandwich and a small side dish, such as sliced fruit, will fit well in the other compartment. My six-year-old daughter ate almost her whole lunch and didn’t go hungry. The Shuttle can also be bought with a carrying case for $5 more. The case is made to be able to match the design of the magnet set. It has a small carry handle on the top. There are two drawbacks with this case, however. The first one is that it is very hard to put a normal size ice pack inside it. This makes it almost a necessity to buy the optional PlanetBox ice pack, which does fit inside. It also does not include a shoulder strap for those who prefer to carry bags in this manner. The Shuttle is best suited for younger children, or those with smaller appetites. It could also work well for snack time during a play date, day trip, or after swim lessons. If you choose the Shuttle I recommend purchasing the case and also the ice pack. When you factor in these two options, the total price might raise some eyebrows. However, because of its durable build, the Shuttle should last for a very long time. It can be purchased with case from www.planetbox.com for $39.95. Disclosure: PlanetBox sent me this product to review. I have received no other compensation for this post and the opinions I’m expressing here are solely my own. 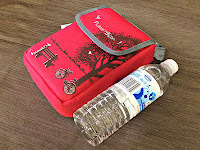 Lunchbox Dad's Simple Summer is here!